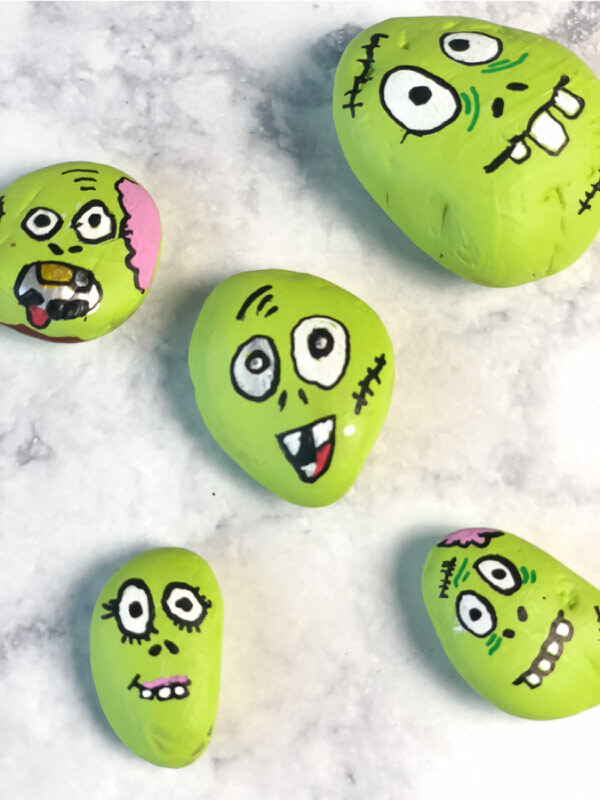 Inside: If your kids are into zombies, try making these easy zombie Halloween painted rocks with them this Halloween season. 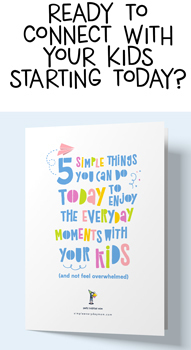 It’s a great family time activity! If you have elementary aged boys in your household, I’m betting money you’ve seen Plants vs Zombies in some form or another. For a while during our designated iPad time, all I’d seem to hear is the “noooooooooo!!! !” scream when the zombies made it past all the plants. If you don’t know what I’m talking about, no worries. All you need to know is that zombies are super popular now and kids love them! 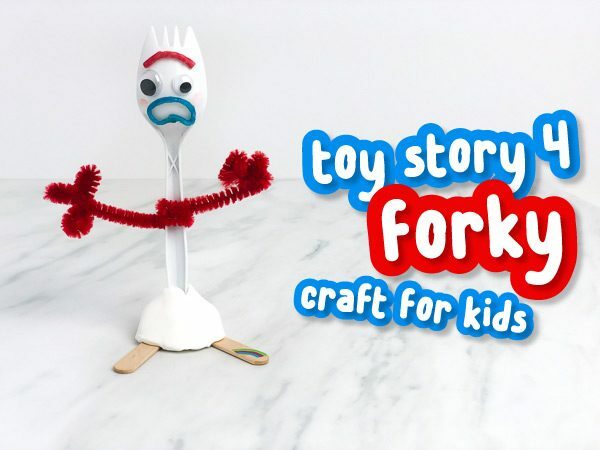 Lately, we’ve been doing a ton of Halloween activities for kids. We made this cute Frankenstein craft, created this easy pumpkin craft for kids, had exploratory play with this Halloween play-doh set up, and learned more about math concepts with these Halloween tangram mats. 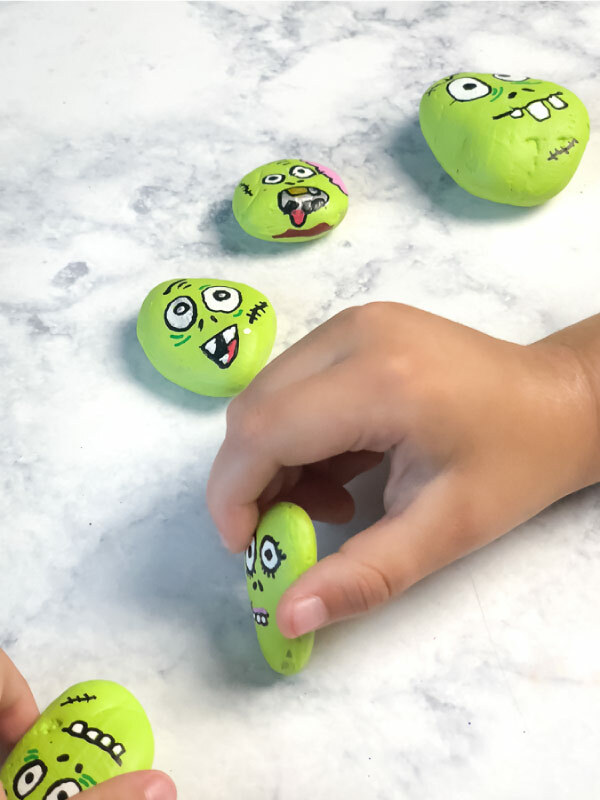 We also played with this slimy Halloween sensory bin, read lots of non-scary Halloween books for kids, and played some of these Halloween games for kids. Can you tell we like the holidays around here? 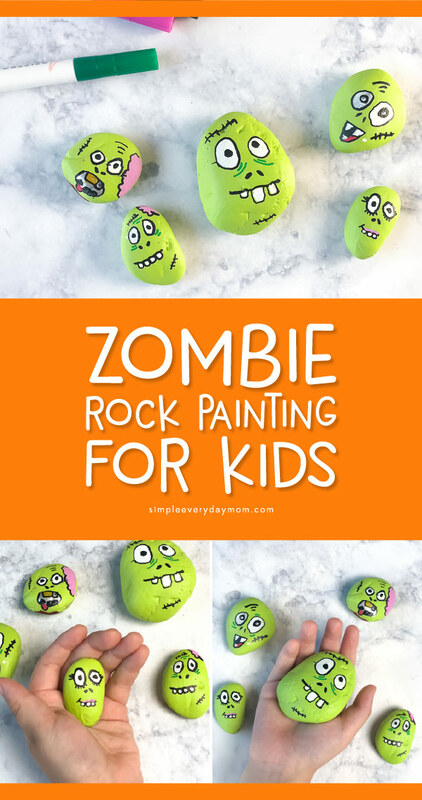 We’re showing you how to make your own cute, quirky, crazy or creepy zombie painted rocks! 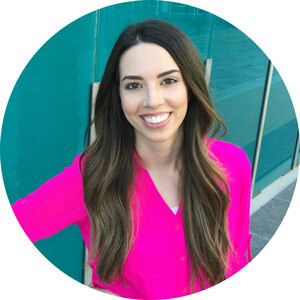 Read on below to see just how easy it is. 1. Coat each rock in 3-4 thin layers of green acrylic paint. Alternatively, you could also use a green paint pen, but I find you get a smoother and more vibrant base (and save your paint pen’s ink) when using acrylic paint. Let the paint dry completely before moving on. 2. Using the white paint pen, draw on the eyes. It’s best to do white first, so you don’t get any other paint on the brush pen’s tip. 3. 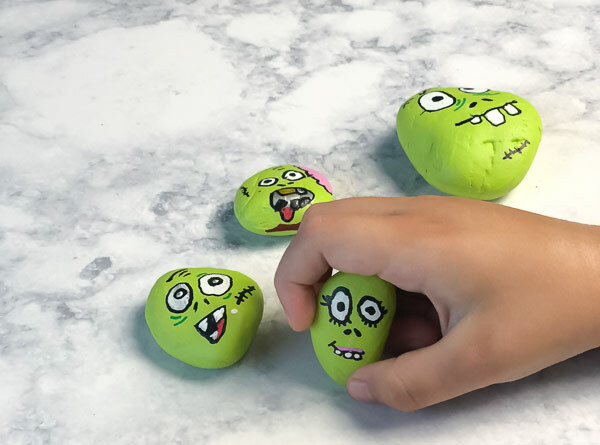 Use the green paint pen to draw any undereye wrinkles or forehead wrinkles you’d like your zombie rock to have. 4. Use the black paint pen to outline the eyes, create the pupils, make nostril holes, create a mouth, outline teeth and draw any scars. 5. Optional: Use the pink paint pen to draw brains or an upper lip for lady zombies. 6. Optional: Use a spray sealant to preserve your Halloween rocks. 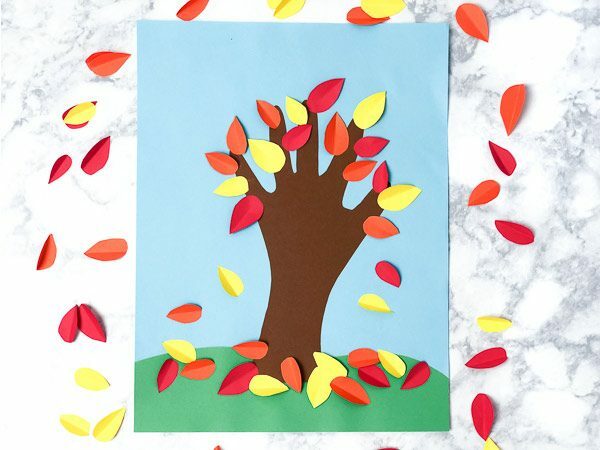 That’s all there is to this simple Halloween craft! 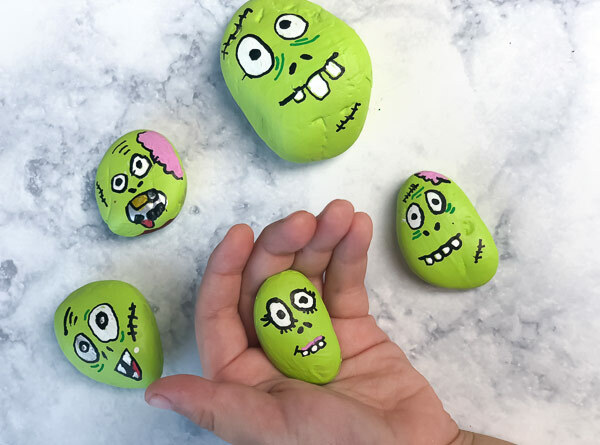 We had such a blast making these zombie rocks together and as you can see, there’s not much of a difference between my artistic talent and that of my 7-year-olds. 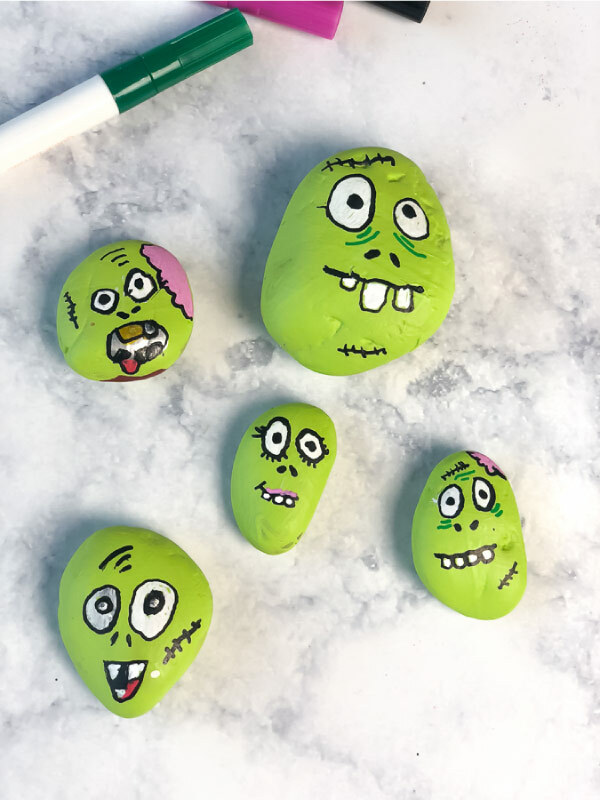 Give this Halloween activity a shot; I’m sure your family will love it too! I’m interested in knowing what brand is your paint pens for the Zombie project. Of course! 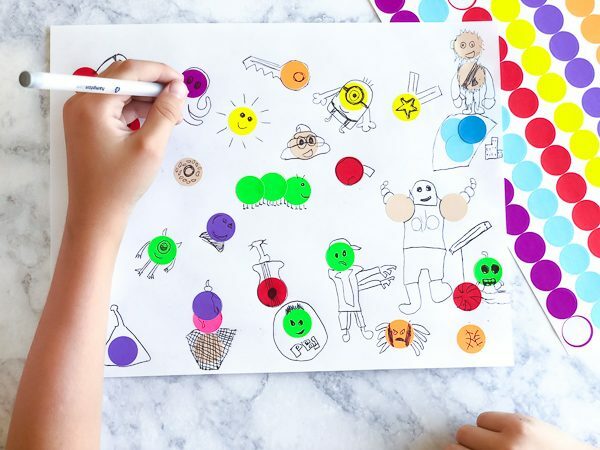 We used both Posca paint pens and Artistro for this project, but we prefer the Posca ones.